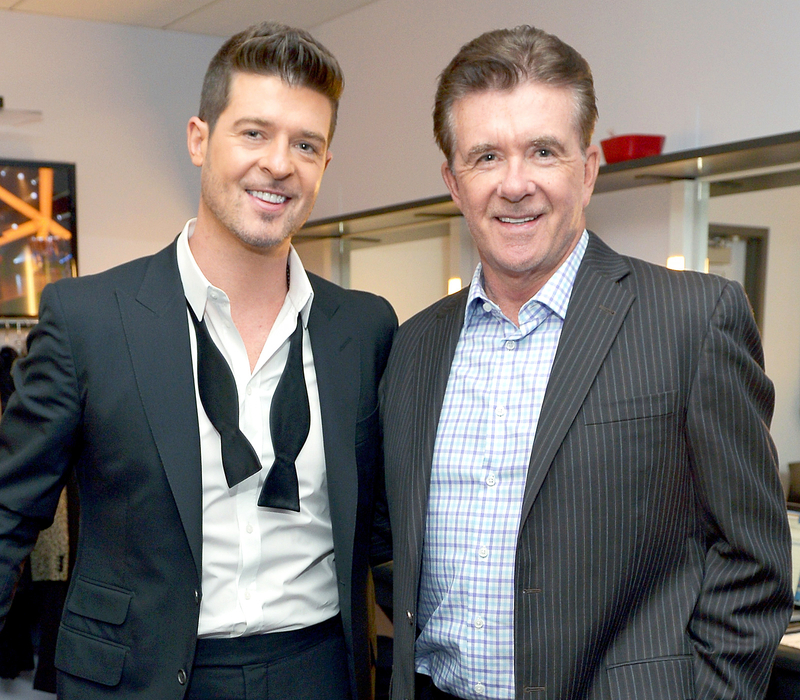 Alan Thicke’s two oldest sons, Brennan and Robin Thicke, filed a petition in the Los Angeles Superior Court on Tuesday, May 16, to resolve a dispute with the Growing Pains actor’s third wife, Tanya Callau. The actor died suddenly at age 69 in December after suffering a heart attack while playing hockey with his 19-year-old son, Carter, whom he shared with his second wife, Gina Tolleson. One of the main issues is Alan’s $3.5 million Carpinteria, California, ranch. In the trust, Alan left each of his three kids equal shares of the ranch, 75 percent of his personal effects and 60 percent of his remaining estate, THR reports. He left Callau the ranch’s furnishings, 25 percent of his personal effects, a $500,000 life insurance policy, all of his death benefits from pensions and union memberships and 40 percent of his remaining estate, THR says. While he didn’t leave any portion of the ranch to Callau, Alan stated that she could continue to live there, provided she pays for any expenses and maintains the property, according to The Hollywood Reporter. The “Blurred Lines” singer, 40, and his brother, 42, are seeking instructions as to whether the trust’s property is separate property, and whether Callau’s challenge to the prenup is valid.